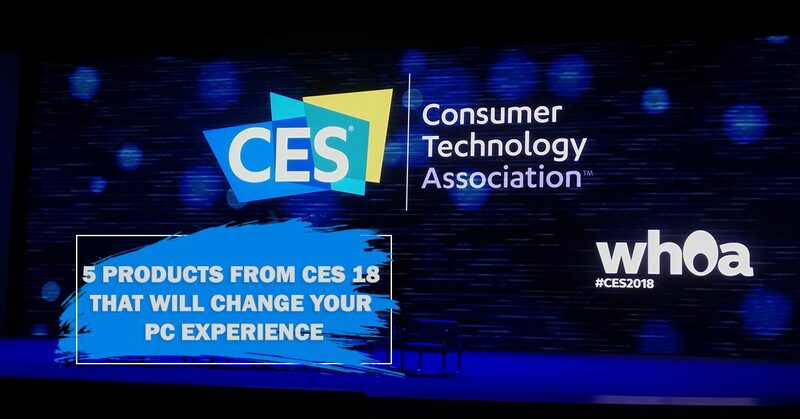 The holiday season is fast approaching, so get ready to stuff your stockings with the hottest tech this year! 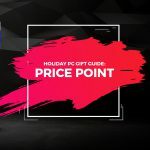 Get geared up for your holiday shopping this Black Friday with our Holiday Peripherals Gift Guide. Get all your stocking stuffers before the rush, with accessories for everyone on your list. 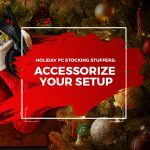 Whether you need to accessorize your own setup or find the perfect gift for someone in your tribe, check out our selection of some of the hottest peripherals this year. From headsets to mice to keyboards, we got you covered. And, if you really want to light up someone’s holiday, give the gift of RGB peripherals! This year your stockings will be so full you won’t even be able to hang them on the mantle! That’s what we’re talking about! Check out some of our favorite gaming mice, keyboards, and headsets that are so game worthy you’ll go down in history. Not a creature was stirring, not even a mouse. Well, these mice might be a little different than that, so if you’re looking for a gift that really delivers this year, check out a few of the most popular gaming mice out there. There’s nothing quiet about these high-performing, gaming peripherals. You can’t go wrong with the Razer Mamba Tournament Edition Gaming Mouse. It’s one of the best gaming mice for your money. Made of high-quality materials with a minimalistic, ergonomic design this mouse fits comfortably in most gamers’ hands, featuring two additional customizable buttons. It feels great, with its balanced weight, gliding easily across almost any surface with its 16,000 DPI sensor. Let it glow this holiday, with its signature Chroma RGB lighting, offering stunning effects that will WOW, along with its unbeatable gaming performance. With one of the most responsive optical sensors on the market, the Logitech G502 Proteus Spectrum Gaming Mouse is the choice of many heavyweight gaming enthusiasts. 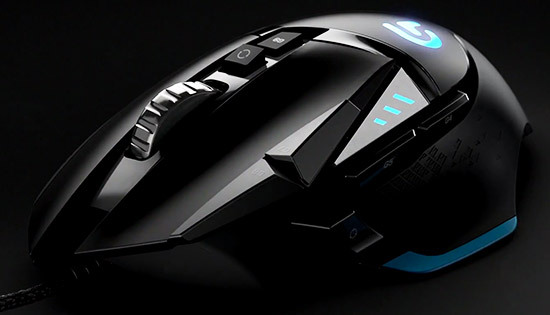 With a 12,000 CPI sensor, this mouse gives players precise control and accuracy. Designed for a palm grip with a left-hand thumb rest, the G502 also features 11 macro buttons to program for customizing your gaming controls so that complicated key combinations can easily be replaced with the push of a single button. Play for hours in comfort, with its ergonomic shape and textured grip for your fingers. If you prefer a heavy mouse, 5 additional removable weights allow you to make adjustments to your liking. 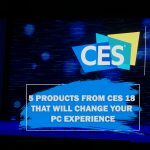 Even Rudolph will be red with envy over this mouse, with its easy-to-program software that allows you to customize its lighting with 16.8 million color variations. The flagship ASUS ROG Spatha Gaming Mouse is slick, responsive and comfortable. 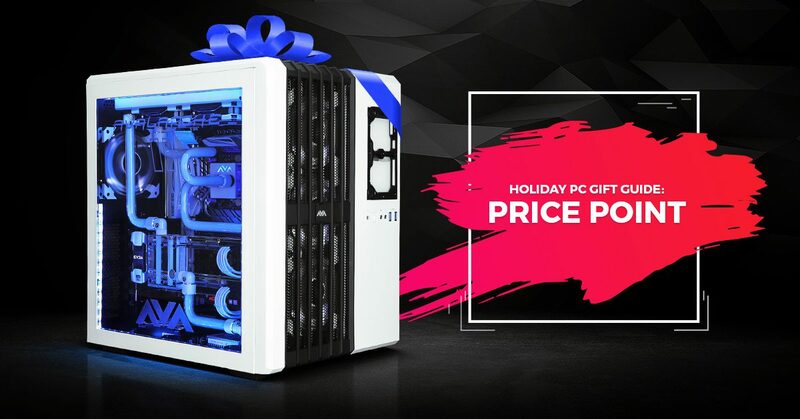 If you’re looking for a killer holiday gift for the extreme MMO gamer, this is it. This mouse tears up the competition, boasting a variety of features which includes 12 programmable buttons and RGB lighting effects that can be synced to your gameplay. 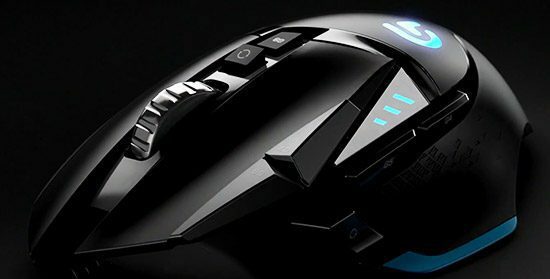 8,200 max DPI gives this mouse solid accuracy and it can be used either wirelessly or with the wire without lag. Its titanium body provides a comfortable ergonomic design, allowing for long hours of gameplay without your fingers cramping up. You won’t hear the prancing and pawing of little hoofs on your roof this holiday with these top-rated gaming headsets. Stay in the zone, and don’t let distractions throw off your game. Experience ultra-clarity with these surround sound beasts. So comfy you’ll be on cloud 9! Get ready to put on your PJs and headset and get ready to game all night long with the lightweight HyperX Cloud Gaming Headset from Kingston. It feels like a dream, er cloud, weighing only 12.3 ounces with its noise-isolating memory foam ear cups. The headset is wired, using stereo sound and a detachable condenser mic. Hear your enemies sneaking up on you and warn your teammates with the crystal-clear audio and microphone capabilities. Boasting great clarity, anyone would love to rock this crowd-favorite gaming headset. Twinkle this holiday, with Logitech’s G933 Artemis Spectrum Gaming Headset, featuring programmable, multi-colored RGB lights that will get the attention of any gamer. Not to mention, the 7.1 surround sound quality is solid, whether used wired or wireless. The unique, large, ear-shaped cups make this headset stand out, providing the comfort needed for long gaming sessions. The cup-mounted macro keys are an added bonus, providing shortcuts for in-game actions. If you’re looking for chic gaming comfort this holiday, check out the Razer ManO’War Gaming Headset. Not only will you hear your opponent from a mile away with the amazing 7.1 surround sound quality, but you’ll look good doing it too, with its sleek, black color and customizable Chroma RGB accents. So comfy you’ll play for hours without realizing it, thanks to the soft leatherette ear cups. Set up is quick and easy with this user-friendly wireless headset, providing earcup mounted controls. 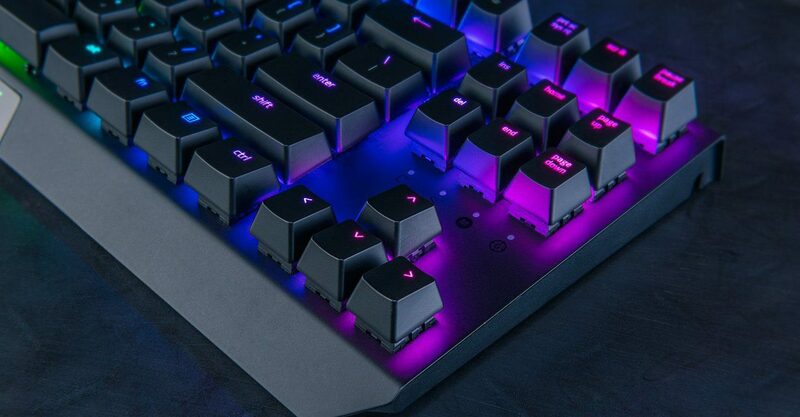 Nail the perfect gift for the gamer in your life, with these high-performing gaming keyboards that will obliterate the competition. Not to mention, you can put on an impressive high-tech light show! The Corsair Gaming K55 RGB Keyboard is a true show stopper. Who doesn’t want to light up a room with their mad gaming skills, and of course RGB backlit keys? So bright it will steal the show… watch out Christmas trees! It features a quiet yet highly responsive layout, multi-key anti-ghosting for accurate simultaneous key presses and 6 programmable macro keys. A soft detachable rubber mat is provided for comfort during long gaming sessions. If you want color and customization options, the Razer BlackWidow X Tournament Edition Chroma Gaming Keyboard is where it’s at. 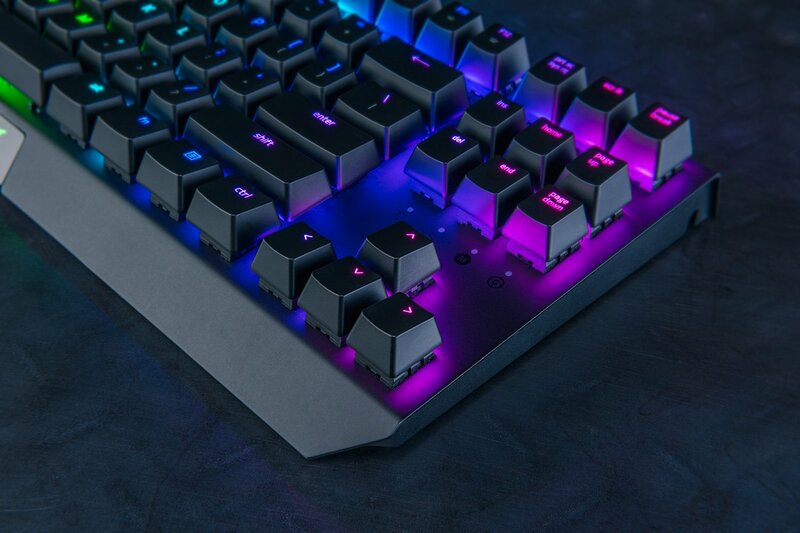 It delivers solid all-around performance with its responsive keys, the Razer mechanical switches offering extremely fast actuation. The customizable RGB backlighting is on point with over 16.8 million color options and it’s compact, portable size makes it perfect for LAN parties. Good things can come in small packages, especially during the holidays! The Logitech G810 Orion Spectrum Gaming Keyboard is a versatile keyboard that offers great performance. Get in the holiday spirit and Illuminate your space with the bright RGB backlighting. It has a minimalistic design with quiet keys and a roller to control media. The Logitech Gaming Software allows you to reprogram the function keys and customize the lighting options. There you have it, our list of a few of our favorite peripherals perfect for holiday stocking stuffers. But the list doesn’t stop here. 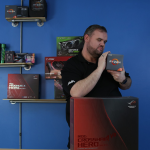 We have hundreds of choices for all your gaming peripherals. 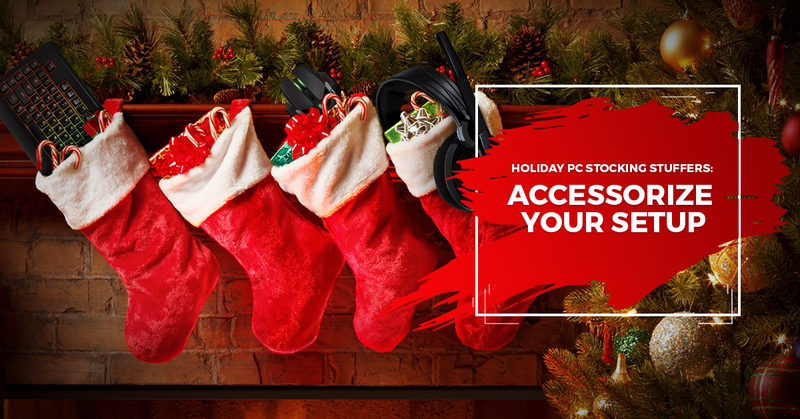 Just check out the wide selection on our website under peripherals to find the gift you’re looking for. Make sure you sign up for our newsletter and follow along on our social sites for the latest deals during the holiday season and be the first to know. This year, get a head start on your shopping with our exclusive Black Friday deals all month long. Beat the crowd and shop online to get your holiday deals.